Absolute Powerpop: Today's eMusic find. This one isn't so much of a "find" as it is a plug. 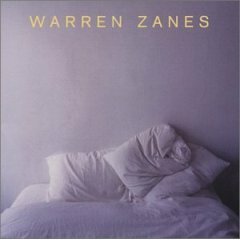 Warren Zanes' Memory Girls was my favorite album of 2003, but I'm guessing it's one that found its way under the radar for the most part. As some of you may know, Zanes is the younger brother of Del Fuegos' frontman Dan Zanes, and Warren joined him in the band as a teenager during their 80s heyday. After a life in academia (Warren has a PhD and is a university professor), he finally got back into the recording studio and produced this gem. What can I say? There isn't a bad track on this album. However, I will advise that if you choose to sample it, don't be put off by the first track, "Everybody Loves You". I love it, but it took a while for the Beck-ish white-boy rap in the track to sink in. Start off instead with the Beatlesque "Sidewalk Sale" and go from there. There's a lot of stylistic ground covered here, from the R&B-influenced "Hey Girl" to the pure pop of the standout track "Where We Began", in which Zanes looks at a current relationship through the prism of his past ("My old man has brought/half a dozen wives into this world") to a wonderful duet with the greatest duet partner of them all, Emmylou Harris, on the pretty ballad "Scrapbook". And it comes cheap. Either a dozen downloads on eMusic, or you can buy it for less than a buck (plus shipping) on the Amazon marketplace. I promise you'll enjoy it more than many cds you've paid $15 for. Samples can be found on the main Amazon page. And even better, Zanes has a brand new album due out March 14 on Dualtone, titled People That I'm Wrong For. I don't have any samples for that one, but I can tell you I heard a couple of tracks on a promotional Dualtone sampler, and they're great, especially "Jr.'s Bag of Tricks". Unfortunately, his site has no samples of any kind, and his myspace page seems to be down (it didn't have any streaming tracks on it yesterday either). UPDATE: Oh, what the heck. Here's an mp3 of Jr.'s Bag of Tricks. I'll keep it up until we get some streams for the new one, or until I get a nasty (but well-written to be sure) email from Warren. Enjoy.